With an artist name like ‘A Winged Victory For The Sullen’, I decided that something so original sounding had to be the perfect song for our placement in class. The video made for ‘Steep Hills Of Vicodin Tears’ is a beautiful abstract piece of mime with a central theme of nature. I couldn’t leave it out of this month’s blog so please check it out, it deserves your view. The duo that makes up ‘A Winged Victory For The Sullen’ is our new fav Dustin O’Halloran and Adam Wiltz. and check out the video for the record, you might recognise East London’s well known De Beauvoir Road which is a stone throw away from our Tempo Pilates studio in Great Eastern Buildings. See, told you we were on on it! Paloma Faith’s ‘Can’t Rely on You’ has been criticised as a ‘Blurred Lines’ rip off but do we care? At the end of the day everything comes from something and what would we be without that notion?! Creativity would come to an end and as a matter of fact, there are definitely differences between the two songs which still conclude that Paloma Faith is not only a great singer and performer but an artist who strives to improve her writing and who is clever enough to collaborate with a genius to make a good song with a catchy melody. Paloma has worked hard to get where she is, like many criticised people in the world. Her past life includes being a Sales Assistant at Agent Provocateur, a life model, a singer in a burlesque cabaret and a magicians assistant whilst obtaining an MA in Theatre Directing from Central Saint Martin’s College of Art and Design. She is a force to be reckoned with. One that has definitely grown on me and the Tempo Team! Thanks for a smashing 100’s track Paloma, that our students can ‘move it’ to on the Reformer and our reception can sing along with! I think Lykke Li’s new album ‘I Never Learn’ is great and definitely marks her as a confident artist who has grown into a fearless woman. She is set to release the ever anticipated ‘third album’. The one that either puts an artist firmly on the map or sees them fade into the background. Which is why we thought to give you a taster from her new release in our Tempo Pilates reformer studios for May. Lykke Li has gone completely sombre for 33 minutes on this album due to the impact of a relationship break – up and, quite rightly so, she has left no emotion or feeling unturned. In typical Lykke Li style, its all very black & white. This particular recording leaves echoes of the 60’s with hints of a Phil Spector production. A Huge THANK YOU to all the TP trainers for attending another inspirational workshop. Good Work Team! Now, we all know that white wine and (non-existence) sunshine can sometimes mean your exercise regime melts away just like that suntan lotion. If you need that extra push, why not let Tempo Pilates keep you motivated and goal focused?! May Motivation Challenge! It’s simple – complete a Pilates package in the time frames below by 31 August and get 10% off your next purchase! – You must email the studio within 1 month of completing your challenge to obtain your discount code. – Discount code must be redeemed within 1 month or it will expire. – One discount per person. – You must obtain your discount code before making a new purchase as it cannot be retrospectively applied. – Discount cannot be applied to Gymbox membership prices. 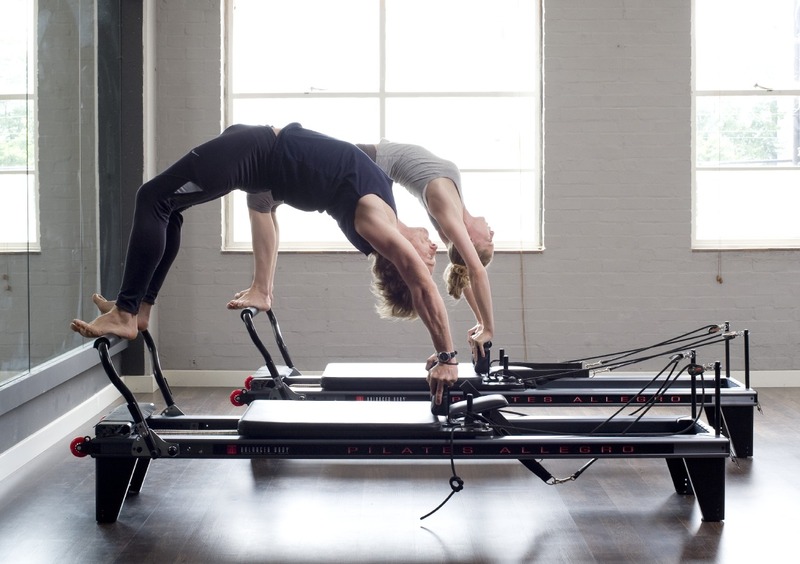 To book Click here> alternatively you can email us at info@tempopilates.com. To read more click here> or to book a class at London WC2/Covent Garden , E8/Hackney or E1/Shoreditch.